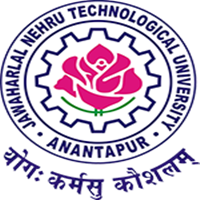 JNTU Ananthapur University Time Tables: Jntua has announced the MBA 3rd, 4th Semester regular/supply and MCA 3rd, 4th, 5th Sem Regular/supply time tables which are going to be conducted in may 2019. Students can exam fee notification and time tables from below links. JNTU Anatapur has announced MBA/MCA 3rd, 4th, 5th Semesters Regular/Supplementary Examination Time tables May 2019. Students can check their respective time tables from links given below.